Summer has not yet arrived is SF. It's been June gloom 100%. 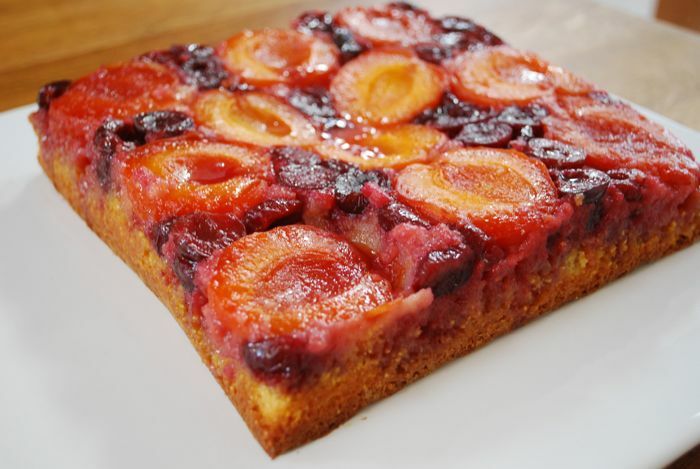 Despite the weather, I was able to bring the flavors of summer to my family with this super delicious, super tasty upside down cake recipe from Martha Stewart Baking. As luck would have it, I was able to pick up some fresh apricots and cherries from Frog Hollow Farms. Both were super juicy and sweet with the perfect touch of tartness. The addition of almond paste and cornmeal in this recipe put me over the top…so yummy! I am looking forward to warmer days and more baking!